What's in a name? 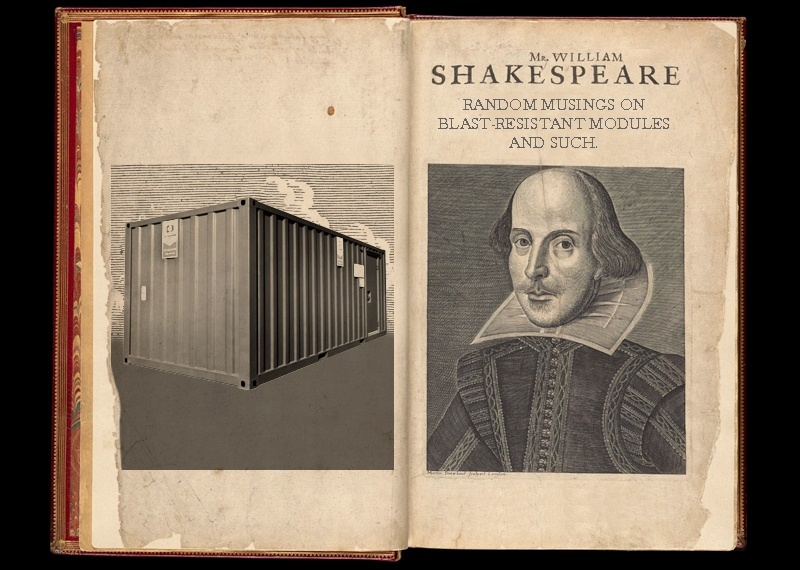 Would a blast-resistant module by any other name be just as safe? Apologies for the bad Shakespearean reference, but that aside, "What's in a name?" is often used to imply that the names of things do not affect what they really are. When it comes to blast-resistant modules, this is true. At RedGuard, we've been calling them blast-resistant buildings, or BRBs for a long time. We realize that the term blast-resistant modules, or BRMs is commonly used in the industry. BRM and BRB are interchangeable terms to describe these blast-resistant structures. What's in a BRM structure? What you call the structure is less important than the build of the structure itself. The most important thing to look for in the construction of a blast-resistant building is the close spacing and sturdy construction of its wall studs. (This is more important than the thickness of the exterior steel skin.) If the studs are placed too far apart, the building’s walls are vulnerable to sustaining a high level of damage in a blast. Beyond the frame, it’s also important to look at all of the building’s nonstructural components (cabinetry, light fixtures, electrical/plumbing design and all other interior fixtures) to ensure they will hold up to a blast. If any of these components are susceptible to damage, the rest of the building’s design doesn't really matter because occupants could be injured or killed by the internal components. So, remember, whether it's a blast-resistant building or blast-resistant module, the important piece is NOT the name, or acronym, but its structural integrity and interior components. If you're interested in finding out more about blast-resistant buildings, download our white paper, The Next Step in the Evolution of Blast-Resistant Buildings, all about the future of the industry.